As a member of Coldwell Banker, Deborah is thrilled to bring her passion for customer service into the delivery of absolute excellence for her clients. Her first year in Real Estate resulted in the achievement of the "Rookie of the Year" for the Vista, CA office as well as achieving "International Diamond Society" for six years and International President's Circle in 2009, 2010 and 2013. 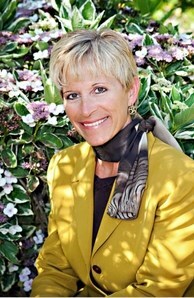 Prior to real estate, Deborah spent 6 years as a Sales Account Rep and 16 years in retail sales and management. Her professional success has been attained as the result of a proven track record for solidifying relationships with her clients, vendors and team members. With 35 years in sales and customer service, your real estate needs become her focused priority and the commitment to exceed your expectations is paramount to none. Deborah is no stranger to relocation, having moved 14 times with either her parents or as the result of career opportunities. Her travels have taken her from coast to coast and beyond; 4 years in PA, 14 years in MI, 5 years in N.J., 5 years in MN, 4 years in S. America, 1 year in Canada and the last 18 years in sunny San Diego! When she is not working, Deborah finds herself attending to the needs of her greatly spoiled and deeply loved Maltese-Poodle Kona. An avid golfer, she makes every effort to visit the fairways at least once a week, where she is gently humbled at the challenge of self competition. Additionally, Deborah enjoys to cook, garden, read and travel.